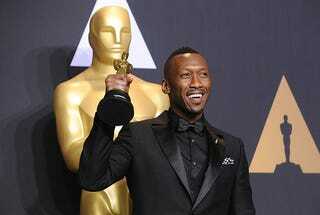 True Detective, the critically acclaimed limited series on HBO, may have a (fione) new face for its third season. Geeks of Color reports that Mahershala Ali is in talks to star in the hit show, which previously cast movie stars Matthew McConaughey and Woody Harrelson (season 1) and Colin Farrell and Rachel McAdams (season 2). Ali, the first Muslim actor to win an Academy Award, is seemingly everywhere these days. After leaving the Netflix juggernaut House of Cards, he won an Oscar for Moonlight and appeared as Cottonmouth in Netflix’s Luke Cage and again on the big screen as Alex R. Hibbert in Hidden Figures. Early last year, he also appeared in the off-Broadway production of Smart People with Tessa Thompson. He’s also in Jay-Z’s new companion film to 4:44.